There is a growing trend to write your own funeral. Many people have the desire to relieve their families of the burden of deciding what should be included in their End of Life service. What kind of End of Life Service do you want? 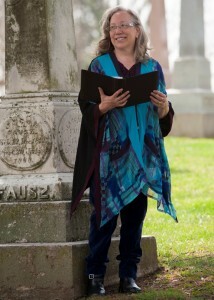 I can help you design the a ceremony that speaks to your heart and reflects your values and beliefs. I would be honored to work with you to develop the ceremony that will reflect your unique vision.